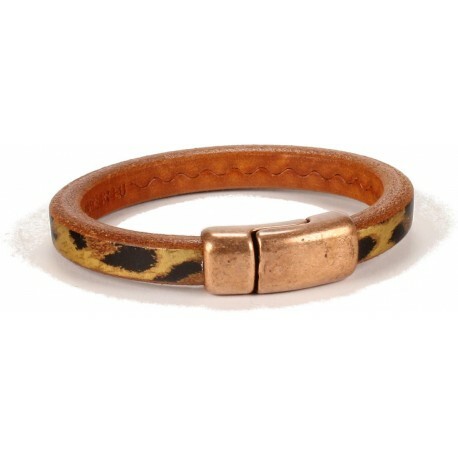 Our Wisconsin bracelets are absolutely fantastic looking made of a sturdy oval-shaped 10mm x 6mm leather cord called Licorice Leather; it is secured with a magnetic clasp. 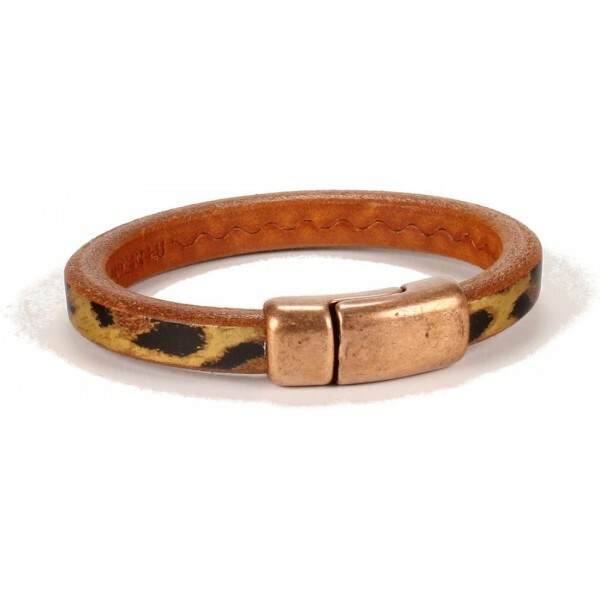 You can wear them on their own but they look great stacked with any of our other bracelets for a personalized look. This style looks great on either men or women no matter if the color is subtle and neutral or one of our brighter colors. This one is incredibly unique done with a leopard print finish. 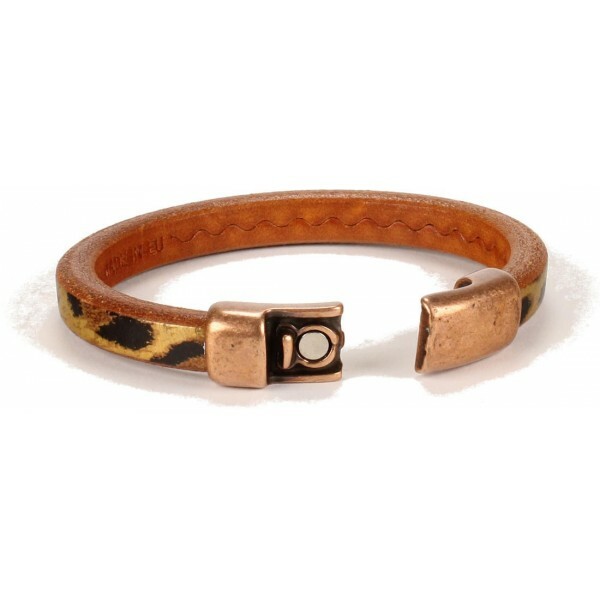 Magnetic clasp is made of a molded alloy with an antique copper finish.